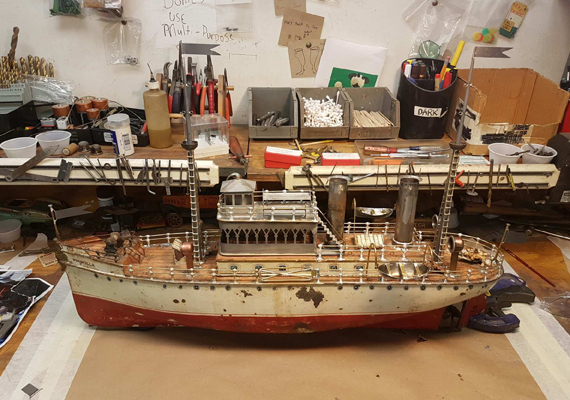 Randy’s Toy Shop makes thousands of parts out of most materials to bring your tin toys back to complete as close to original condition as possible whether it be a simple lariat or arm for a Marx Cowboy (starting at $25.00) to a custom made leg for your rarest treasure, we can help. Our pressed tin parts are patterned just like the originals including tab placement, metal thickness and colors. 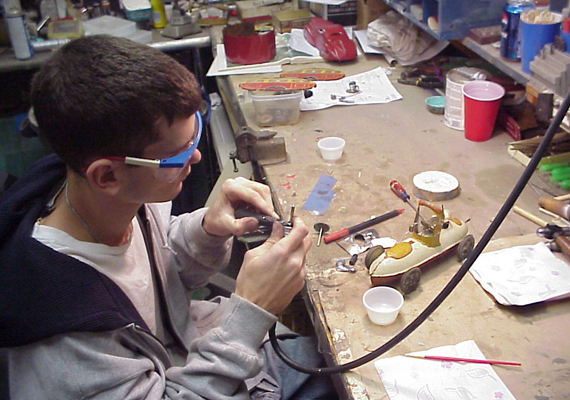 We also repair mechanisms on all types of toys like wind-ups, battery operated toys to rare french automatons. 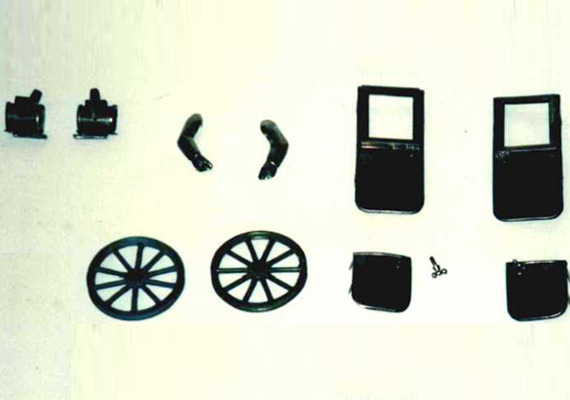 We also make a variety of plastic parts such as domes, antennas, windshields and other missing accessories. If you are not sure, fill out our online repair quote and check with us. 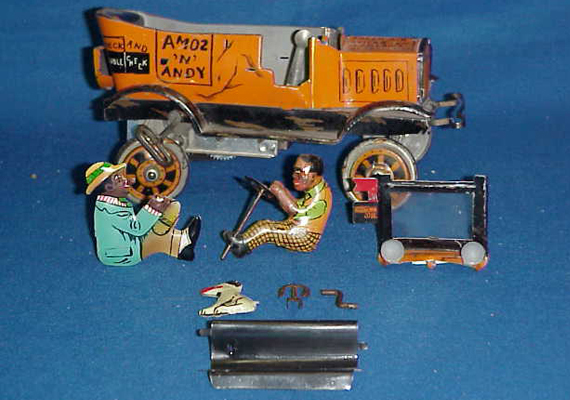 Below are just a few of the many museum-quality, antique tin toy restorations that have made Randy’s Toy Shop popular among antique toy collectors around the world. 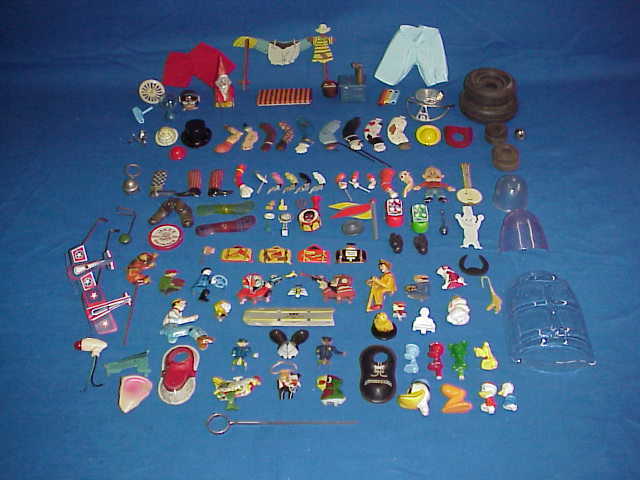 Pictured are a few of the thousands of parts of many different materials custom-made at Randy’s Toy Shop. 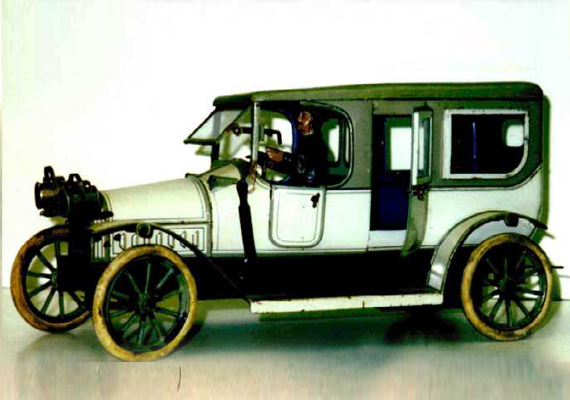 This is a 1914 Karl Bub 14-inch Limousine in its original condition. 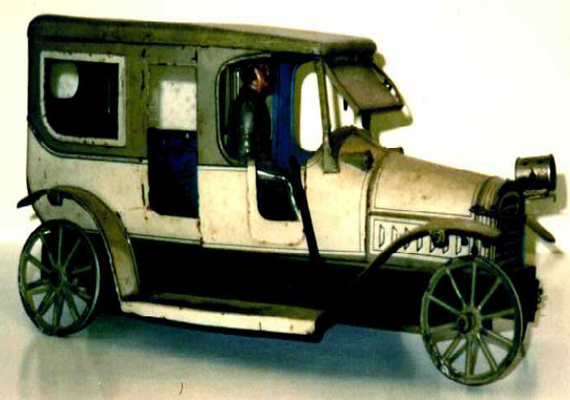 Notice the missing front and rear doors, headlamp, and wheels. 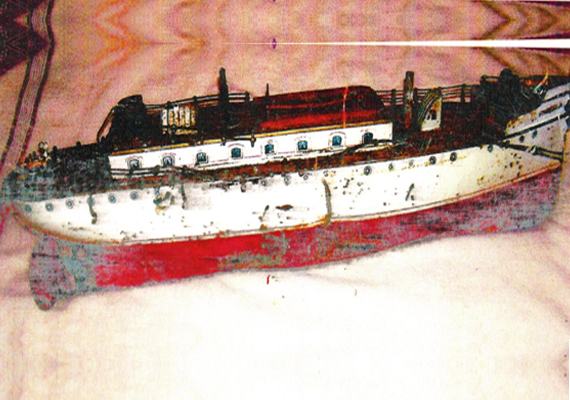 This is the same toy, after cleaning and straightening of the tin parts. More parts after cleaning and straightening. 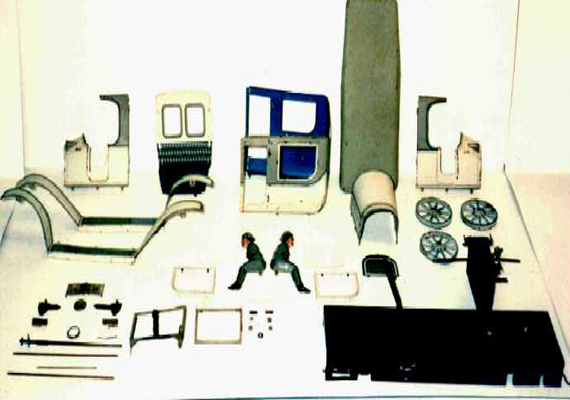 These are the parts that were custom-fabricated by Randy’s Toy Shop, using original materials, colors and manufacturing techniques. 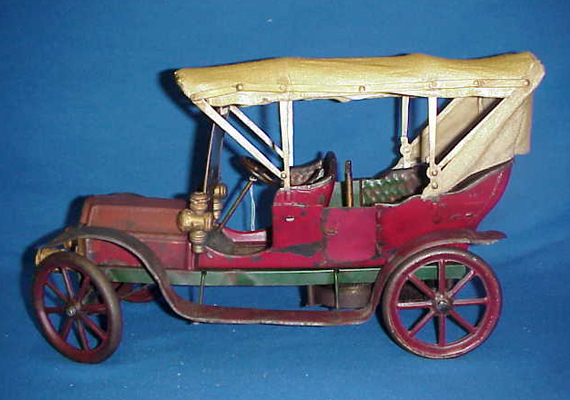 This is the completed 1914 Karl Bub 14-inch Limousine fully restored to mint condition by the expert technicians at Randy’s Toy Shop! 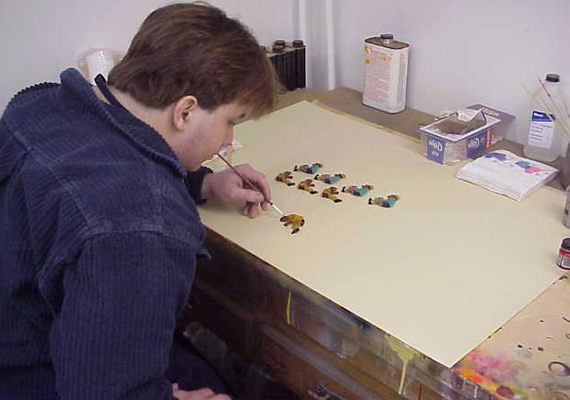 This is Darin, one of our Master Technicians hard at work on a few other vintage German tin toys. 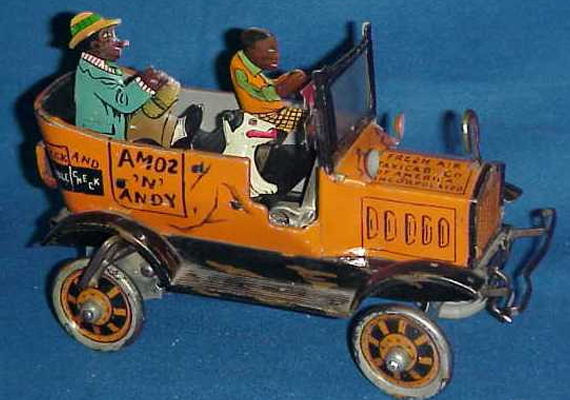 TThis is a 1930’s Marx Amos and Andy Fresh Air Taxi in its original condition. 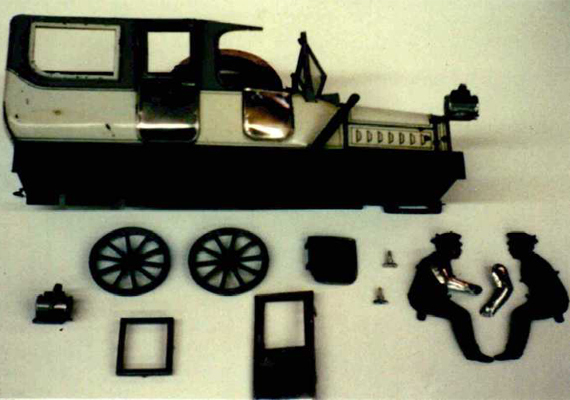 Notice the missing figures, windshield and hood ornament (commonly missing due to how fragile it is) and the damage to the wheels. 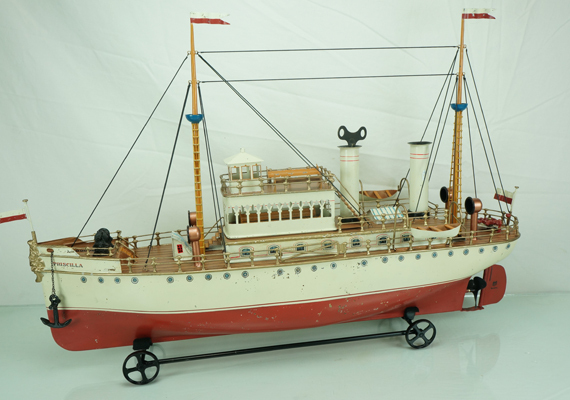 This is the same toy, after restoration by Randy’s Toy Shop. 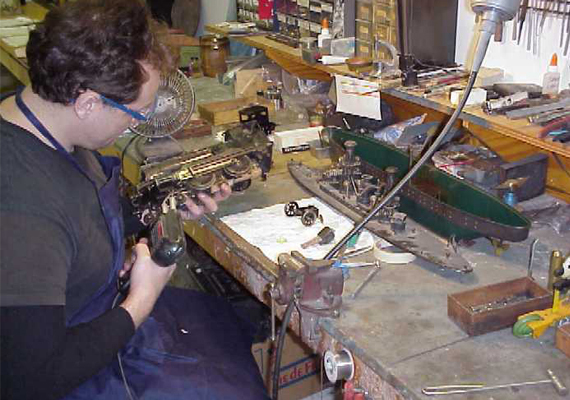 Notice the replacement arms and handlebars – custom fabricated and color matched by Randy’s Toy Shop. Here is a shot of the Taxi and the new replacement parts that were custom-made and color matched by Randy’s Toy Shop. 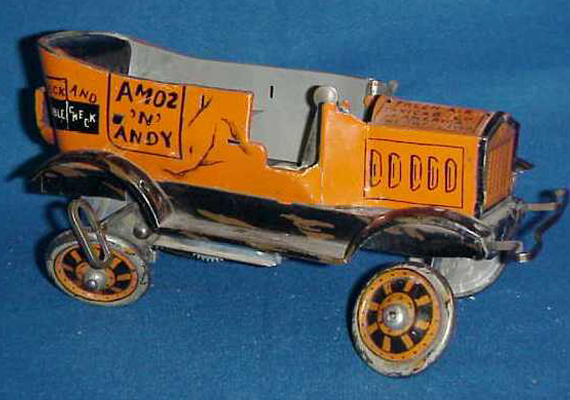 This is the completed 1930’s Marx Amos and Andy Fresh Air Taxi. 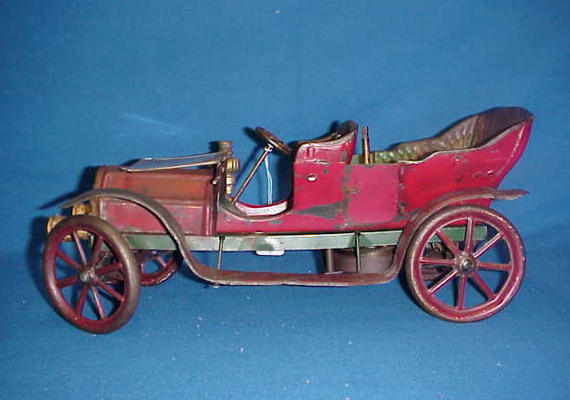 This is a turn-of-the-century French touring car. This one is missing the retractable top, lamps and other parts. This is the same touring car, but with the replacement parts installed. What a beautiful match! 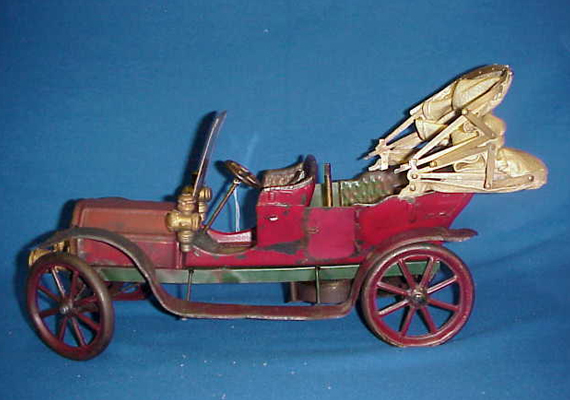 For more information on antique tin toy restorations and repairs, please contact Randy or use online repair quote.